The objects that our ancestors created and left behind become an inspiration for me. With no written history, the artefacts must speak for them. it’s a direct physical connection to our past, better than words, it’s human hands that created, struggled, lived, and Loved. . I do my very best to honour their memory in every piece I make. At age 15, I was introduced to metal work by Navaho silversmith, Jo Madrid, learning silver fabrication and tool making from him. Over the years, I have worked with many jewellery and gem dealers, designing and making some very exciting pieces for some very interesting and people working out of northern California. Over the years we managed to visit friends and family here in Scotland. 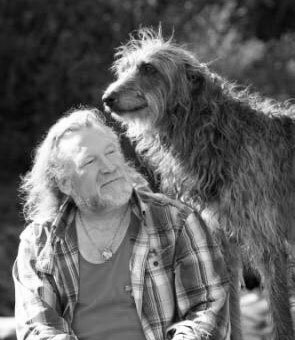 in 2001 the call of the Highlands became too great and we moved, lock, stock, and bench to our home at Duncan House, on the Isle of Skye in Scotland. 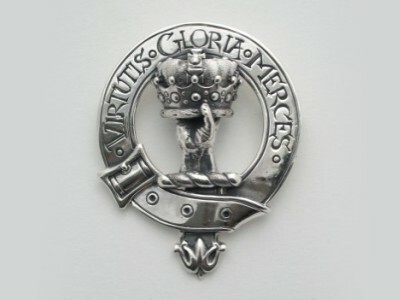 I am Scottish, even Pict, on my Fathers side, my historical studies of ancestors moved my work into traditional Celtic designs after learning metalwork from the Navaho. 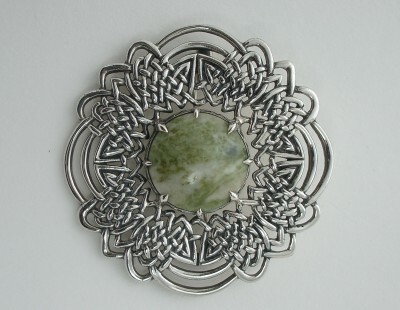 The fine work of the ancient Celtic tribes of Europe made their way to Britain early on, I have become an addict to the knot work patterns and try to outdo myself with every new piece.It has taken many years to learn and perfect the methods and disciplines required to take traditional art work and diverse projects to a fine jewellery level. All my designs are carved, cast, and forged by myself, here on location. Most of my work is accomplished by lost wax casting methods,followed by chasing and engraving. Gems are set using traditional and modern methods. I mix all the metal alloys, finding that most modern alloys in gold and silvers are designed to be soft and malleable, which does not serve my traditional standards. 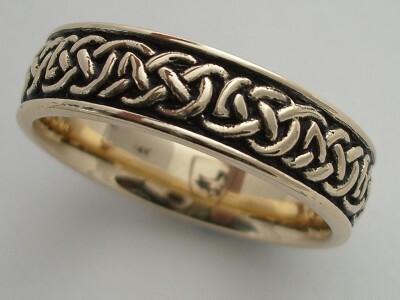 My sterling silver uses only copper as an alloy; with no nickel or other allergenic metals. I use only copper and silver in my yellow gold alloys and vary the mix for colour and durability. My white gold alloy is pure, not plated and is almost platinum white. Mdrawingany customers have commissioned very elaborate items, from traditional Scottish Sgian Dubh, unique wedding and engagement rings to a 5 foot staff made of 5,000 year old bog oak. Much of our past is quite barbaric, but I choose to remember the beauty that was left to us by our fearless and noble ancestral mothers and fathers.